Can Torretes sits in the open countryside, yet is within easy reach of the old town of Alcudia and the resort of Puerto Alcudia. 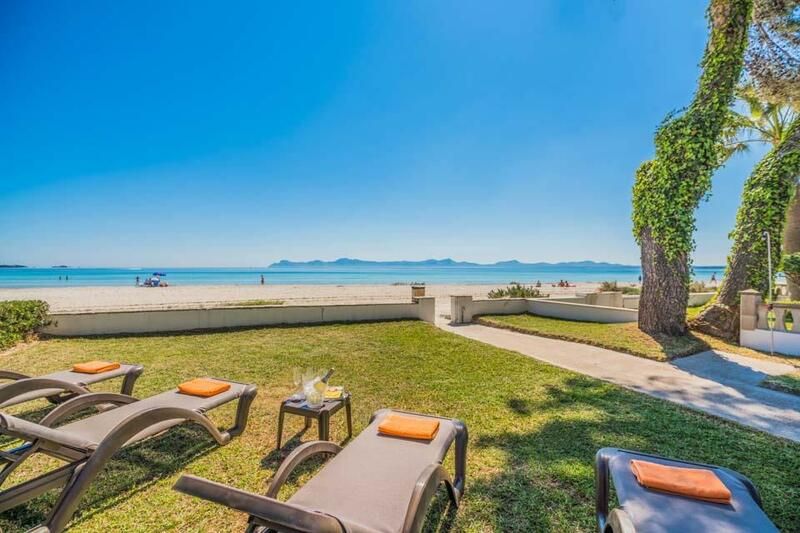 Can Torretes sits in the open countryside, yet is within easy reach of the old town of Alcudia and the resort of Puerto Alcudia, where there is a good selection of restaurants and shops, along with a lovely sandy beach. Bordered by gently sloping hills, the villa rests on a large plot of land, bordered by beautiful blooms and palm trees. An impressive ten metre by five metre pool is perfect for cooling off and doing a few laps. The pool deck hosts sun loungers and the iconic, thatched parasols of the island. Grab a cool drink and head off into a shady spot, poolside. 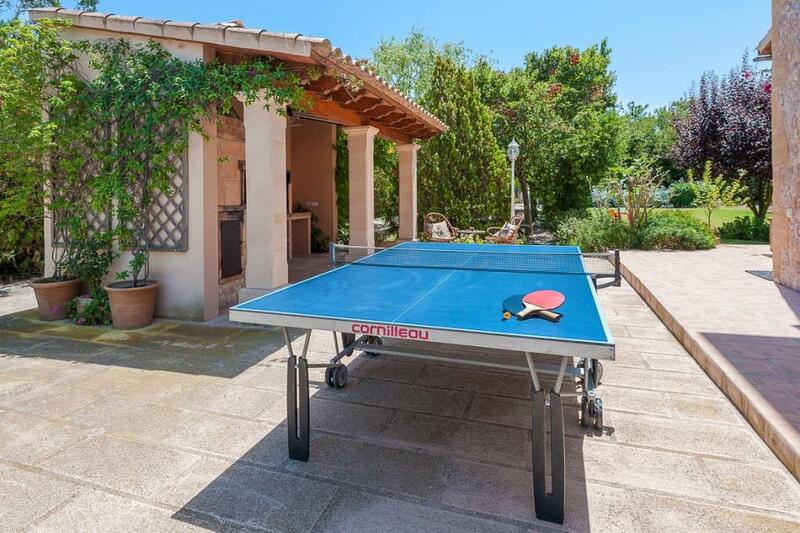 A Spanish BBQ, ping pong table and outdoor furniture on the veranda complete the outdoor living vibe. Enter your Spanish home for the holidays, with rocking chairs, easy dining table and slouchy sofa. 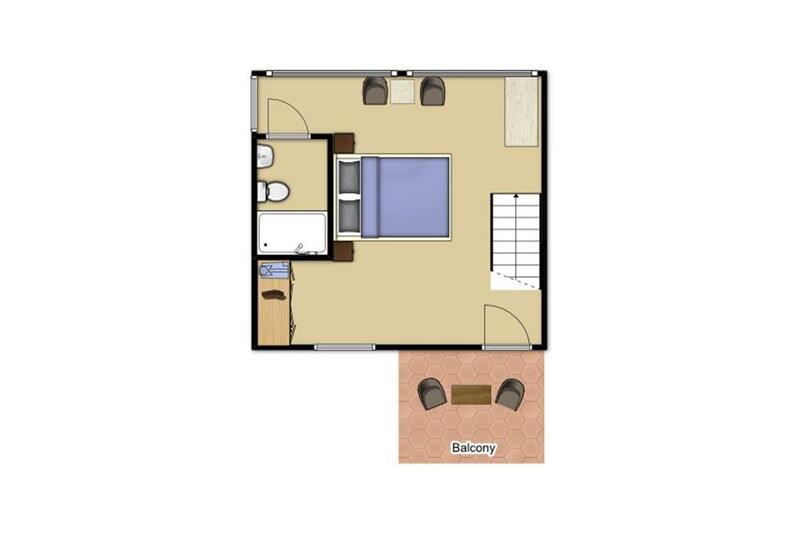 There are four bedrooms and three bathrooms for up to eight guests. The master bedroom upstairs leads directly out onto a patio, affording stunning views of the surrounding countryside. 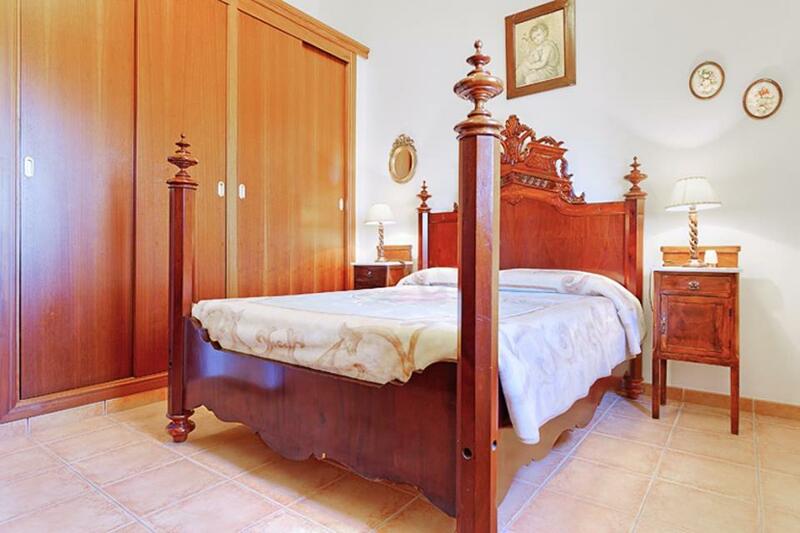 Another bedroom features an elegantly carved poster bed. On Mallorca’s North East coast, Alcudia has both old, historical charm and the fun of the beach with seven kilometres of golden shoreline. Could not fault this villa in any way. Met the owners and the Solmar Rep. Benjamin when we arrived. Helpful and friendly. A great holiday and thinking of booking it again in 2019! Thanks to all. Steve. The Villa is conveniently situated about a 20 minute walk from the old walled town of Alcudia with its markets and plenty of restaurants. The facilities at the villa are great with a wonderful pool and sun bed area set in pretty gardens with a plentiful supply of fresh lemons from the tree for G & Ts. Our family enjoyed table tennis evenings and made good use of both the large BBQ and the wood fired pizza/bread oven. Lovely villa in a good location. Met by the owner and shown around when we arrived and given some handy tips which was great. The fenced off pool was wonderful as we have a young toddler and this gave me peace of mind. Beautiful grounds to wake up to every morning. We liked the location of the villa even though it was fairly close to a busy main road though set back far enough so that traffic noise wasn’t a problem. The villa itself had a beautiful garden and pool which was thoroughly enjoyed by all.We did enjoy our week at Can Torretes and would recommend it. 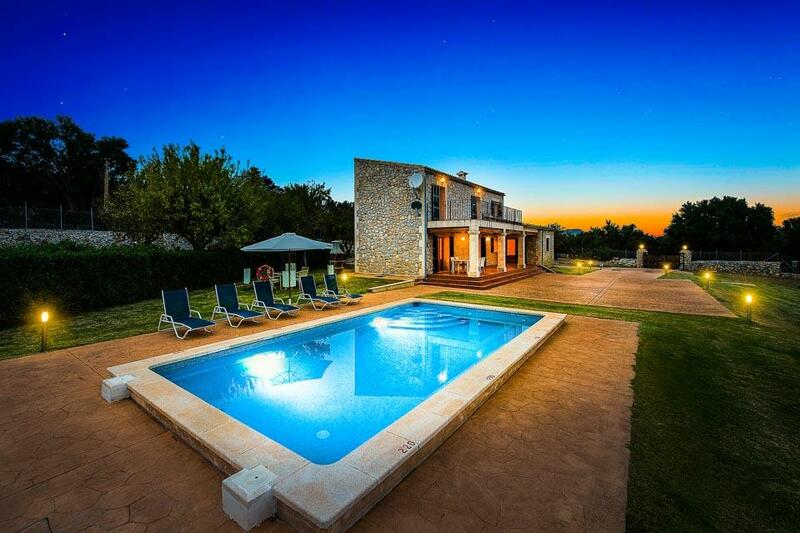 Can Torrettes is a superb villa on the outskirts of Alcudia, the pictures show you is the proximity to the main road. 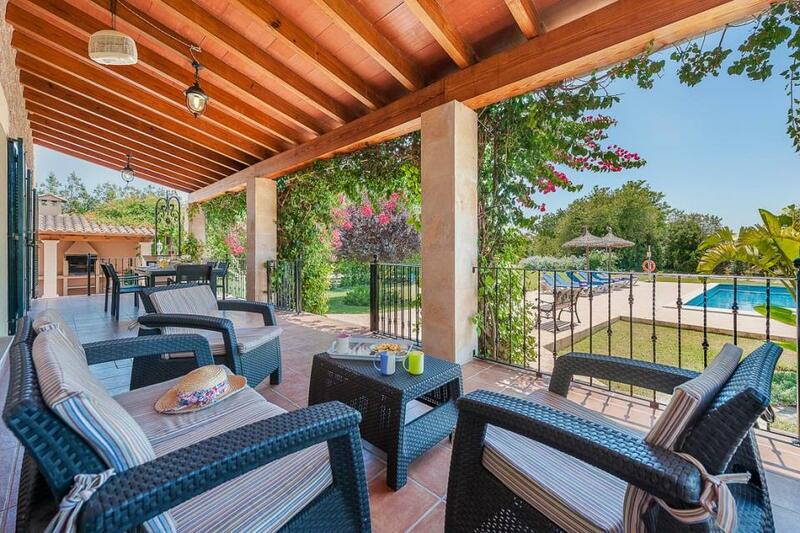 A superb and private villa close to Alcudia centre. For those looking for private luxury co binned with great facilities and superb views, you won't be disappointed. The owner takes a personal interest in your satisfaction and genuinely cares about your holiday. They called round to see us and gave us advice on places to go etc. The huge lemon tree in the back just added that little extra to our afternoon by the splendid pool. 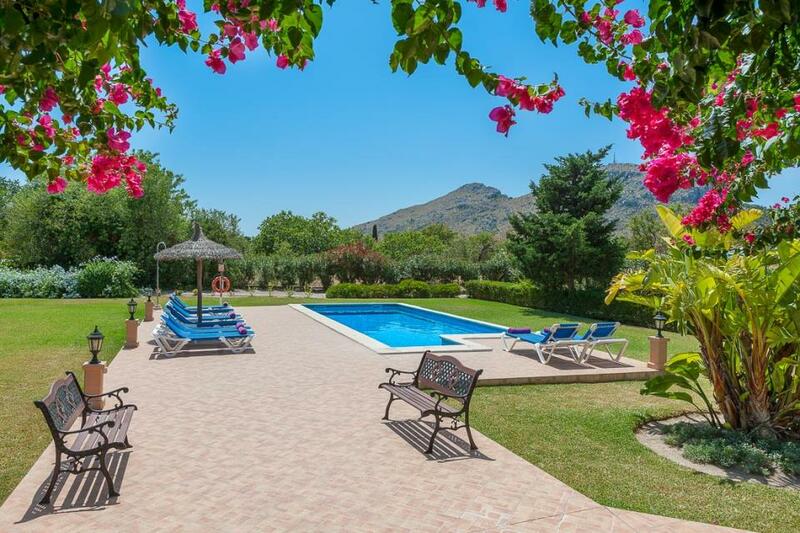 Lovely villa with wonderful garden and pool located within easy reach of Alcudia. 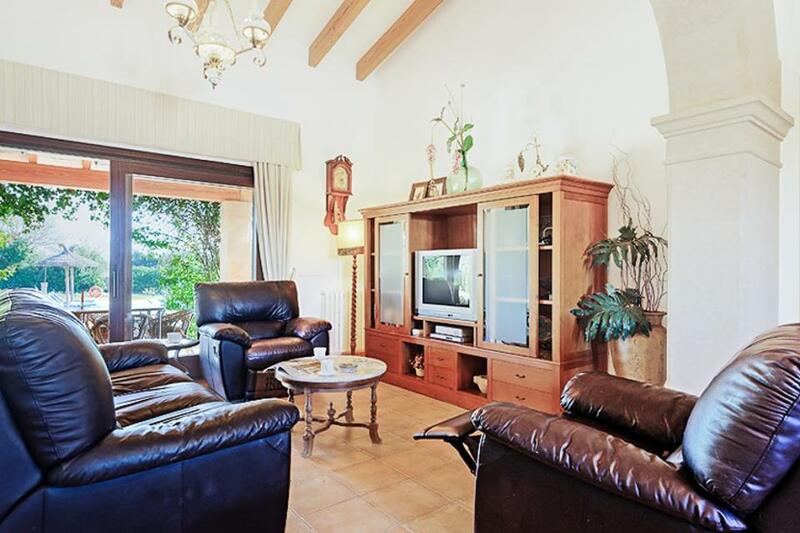 Excellent villa in a good location for easy access to Alcudia and Puerto Pollencia. The owners, Antonia Ξscos, are lovely people and left a welcoming present on our arrival and brought a cake for us when retuning mid-week to change the towels. certainly was "something special" one of the best villas we have had, Beautiful inside and out and ideal location just 5-10 minutes away from 2 resorts. Shame about the amount of cyclists on the roads, but made us appreciate the villa even more by staying in. Highly recommend this villa. Can Torretes is a fabulous family villa. It is beautifully maintained. The garden is perfect for children, very safe. The owners have tried to think of everything you will need to make your stay as near perfect as it can be. loved the villa,the garden, the pool.absolute privacy end freedom. The villa has an excellent location. 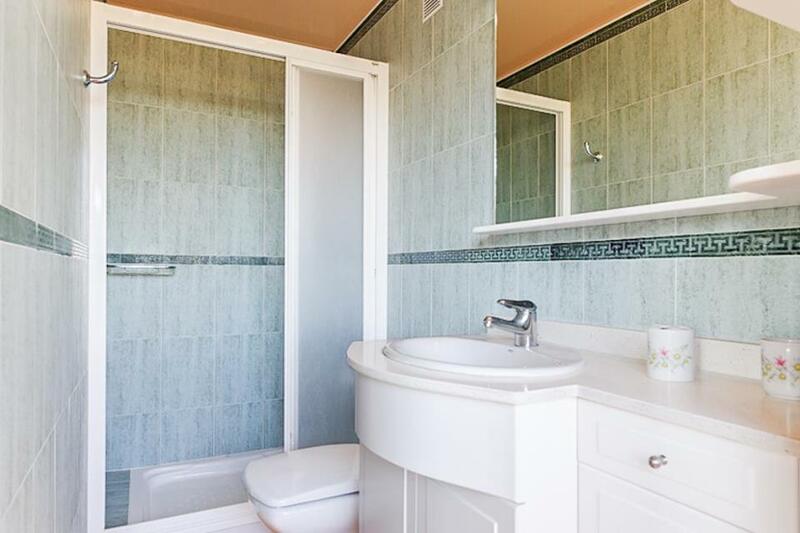 It provides privacy but is close to local resorts and amenities. There is easy access to all major routes. It provided an excellent base for us to travel around the island. 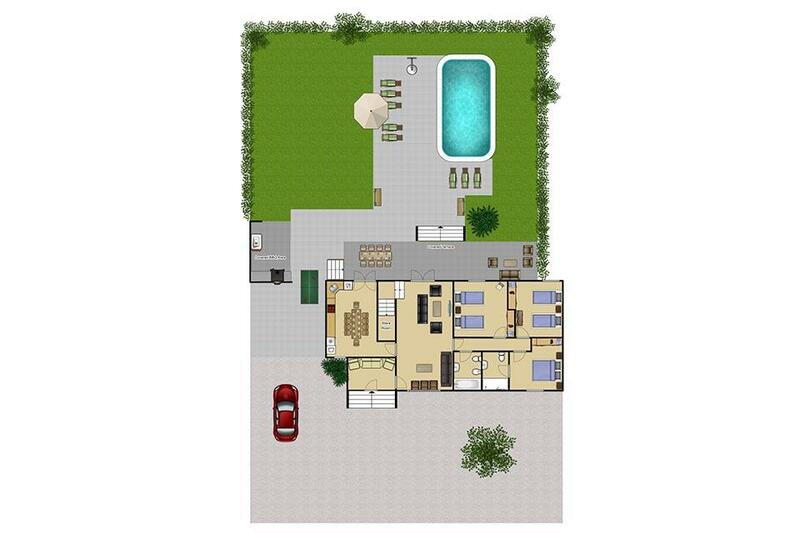 The villa is large enough to suit family and friends. The house is a traditional Spanish family house. Efforts have been made to make it safe for young children, with security gates on stairs, access to the garden and pool area. The garden is spacious and private, there are 3 bathrooms, but I doubt the supply of hot water would be sufficient if all three showers were used simultaneously. As a couple, we could only get hot water in one of the bathroom showers. 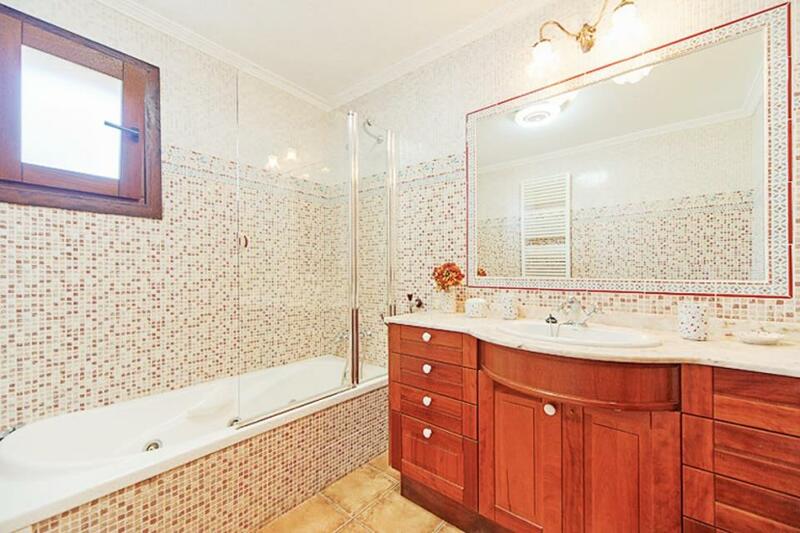 The bathrooms are clean and spacious, but could do with a refresh. The kitchen is large and well equipped. There is also a large external BBQ , ideal for alfresco living. There is satellite TV and internet, but neither worked for the week we were there. The owners were very apologetic and reported the fault to the company. Antonio and Xisco were excellent hosts. They left a welcome pack of Mallorcan biscuits and wine. When they visited to clean the pool and change the sheets, they brought us a present of the local Mallorcan pastry. We enjoyed trying out our Spanish in conversation with them. They gave hints about Mallorcan culture and dialect. We were made to feel like family guests, rather than holiday rentals. Having said that, they were none intrusive, providing us with notice before visiting and buzzing before entering the drive. I would highly recommend this villa and the location. This is the second villa we have rented in this area through Solmer. Both villas have been excellent properties. Will hope to book another later in the year. 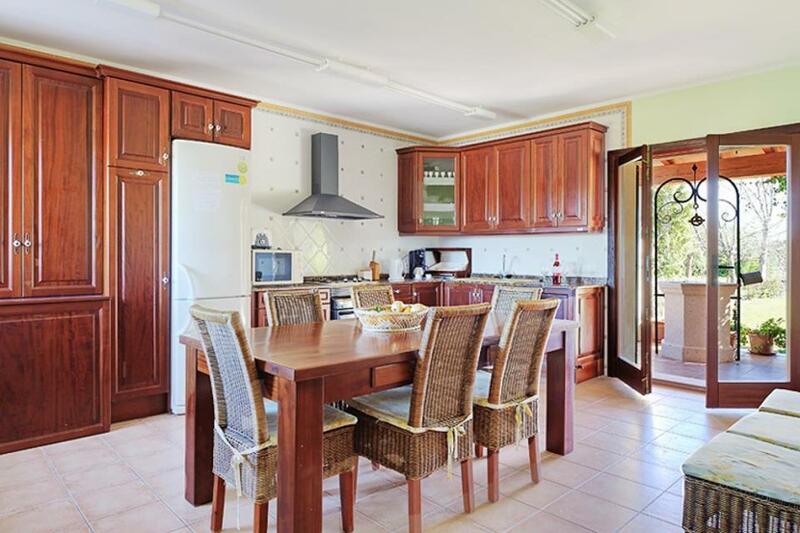 Spacious, well furnished and comfortable with a large garden and pool. Alcudia and northern Mallorca are very scenic and the villa is a very convenient point from which to explore. Miles of sandy beaches are within a few Km. Can Torrettes was a beautiful villa, its selling point was it grounds and outside areas which are really lovely. 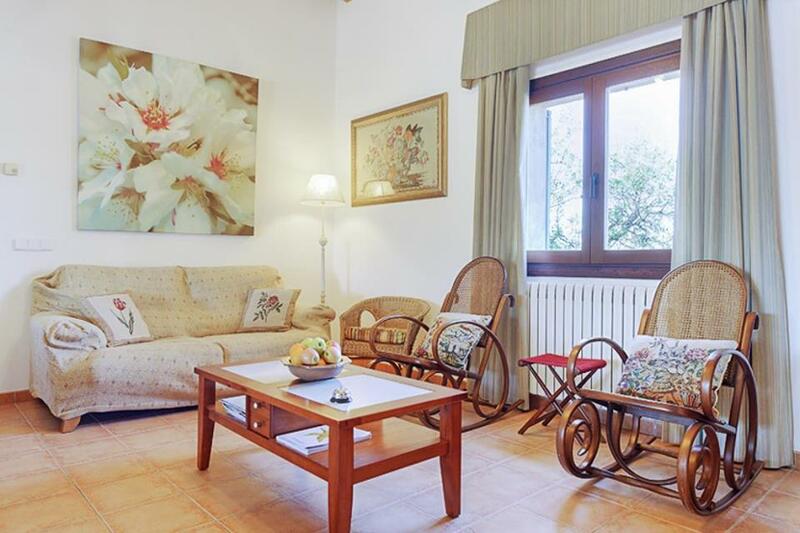 The interior of the villa is spacious and comfortable if a little traditional. It was well equipped especially the kitchen. Only issue with villa as it was advertised as having wifi, it basically doesn't work. Excellent 4 bedroom villa set in lovely garden with pool and good location for access to Alcudia and Puerto Pollensa. Excellent 4 bed roomed villa set in lovely garden with pool and good location for access to Alcudia and Puerto Pollenca. Rated: Good. Very good Kitchen, very clean Pool. This villa is really nice and well maintained. Great outdoor area with a big pool. 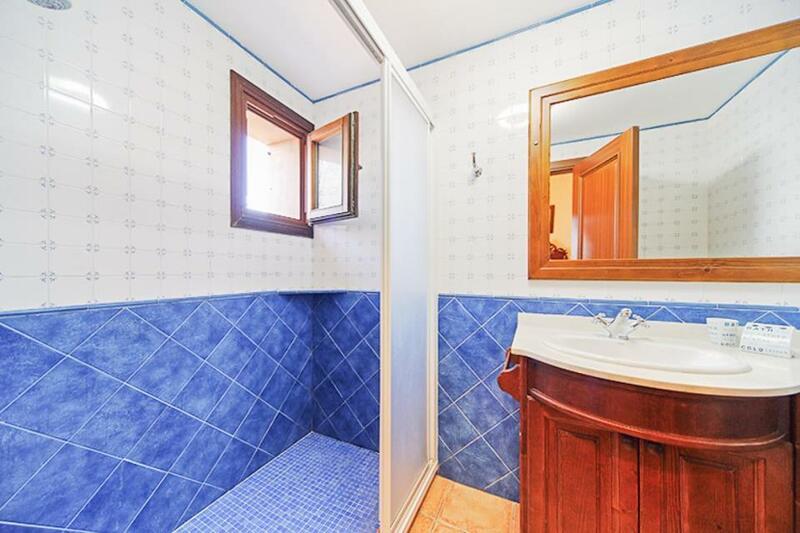 Location is just a couple minutes outside Alcudia old town. Will go again. Beautiful villa and grounds and location. As we were the first to visit this year the villa was freezing. Our first night we were huddled in blankets we found in the bedrooms. On the second night we managed to turn on the heating which the owner agreed, thereafter great! Rated: Excellent. Antonia and Xisco keep a beautiful house and provide the warmest of welcomes. The villa has everything needed and has a wonderful pool and garden. We were delighted with Can Torretes. It is set in lovely grounds and very private. It had everything we required for a great holiday. Rated Excellent. 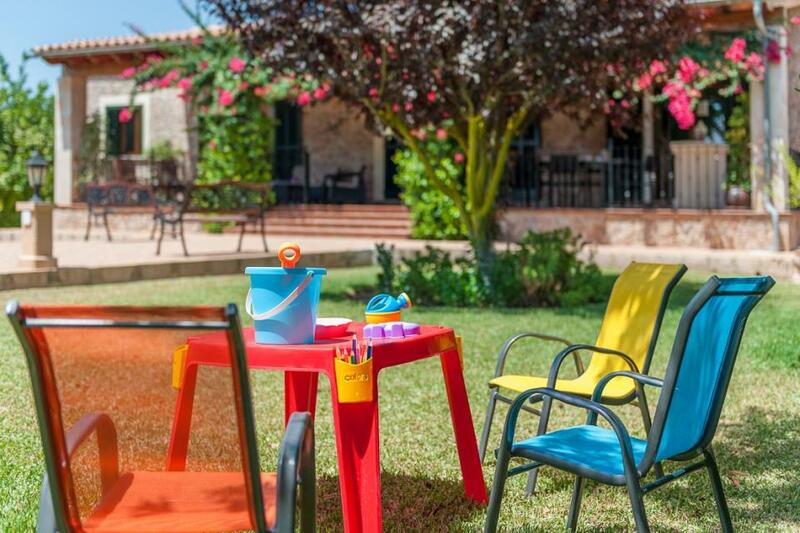 We have holidayed at this villa several times now and would not hesitate to recommend it to families. Great pool, huge garden and spacious accommodation inside. Rated Excellent. Villa beautiful, well equipped and in a good location. Rated: Excellent. Fantastic facilities and location. Rated Excellent. The was absolutely fantastic, it looked exactly as on the pictures and lived fully up to our expectations. everything was nice and clean and ready to use by the time of arrival, and everything was in perfect working. Rated Excellent. The villa was beautiful. The outside space perfectly kept and picturesque. We had hours of fun by the pool, day and night. The terrace was ideal for an alfresco dining experience, the built in barbecue was convenient too. The location was great,just a couple of mins drive into the town, which had plenty of bars and restaurants and a well stocked supermarket. A 15 min drive or so to nearby town of Pollensa and to the main resort of Alcudia. The villa itself was well equipped with everything we needed, and plenty of space and privacy. It was perfect for us - a party 6. Secluded enough from the main road and nearby properties. The table tennis was fun to have and there were a number of small toys for the young ones to play with also. We booked through Solmar villas, we had no problems with the booking, it was easy and we even managed to change the date of check in/out so we could get cheaper flights. The Villa - was exactly how it was described on the Solmar Villa web page. We found it stunning, very clean, spacious and comfortable. It also had everything we needed Wifi, Pool, BBQ and table tennis being the main ones. Location - I would recommend a car although you could get taxi's if needed to the near by towns/beaches. This villa was just as good as it looked in the pictures. Located just outside Old Alcudia, the villa sits in a very private, mature gardens with orange, lemon and almond trees at the front. The furnishings are all high quality and very comfortable and Antonia popped around to welcome us and brought us a delicious Mallorcan pastry which was a lovely gesture. A car is useful although it is possible to walk into the old town, but if you want to get to the larger supermarkets or the Port and the restaurants, the car makes is all the more accessible. A really fabulous villa. 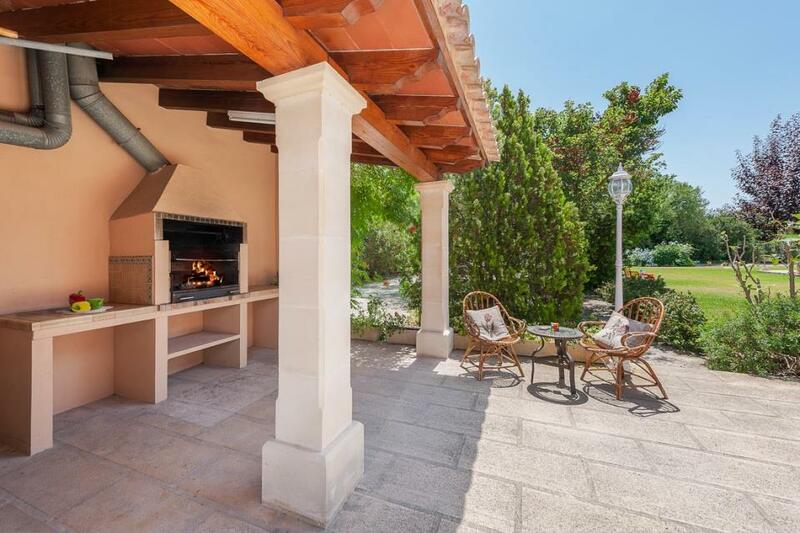 Stunning villa with beautiful and immaculate grounds perfect for a group or family. The towns of Alcudia and Pollenca are easily located from the villa with Pollenca in particular worth a visit with it's vibrant square and large selection of restaurants. The villa is beautifully presented - both inside and outside and the owners are very accommodating and are very hospitable. I wouldn't hesitate to recommend this villa to anybody. We enjoyed the villa enormously and the actual building and outside facilities were excellent. In addition Antonia and her husband (on site local support in Alcudia) were very pleasant and made themselves available. Overall, we had a great experience and really enjoyed the villa/pool and also the local beaches and social facilities. Our experience with Solmar Villas has again been excellent. The villa exceeded our expectations and we will definitely be going back. The owners couldn't have been more pleasant and helpful. We absolutely loved the villa we stayed in. It is a brilliant house and the pool and garden makes it great to come back in the afternoon after an outing to one of the nearby sites or the beach. The service from Solmar Villas was great with the welcome pack given out upon arrival. We have no complaints at all. 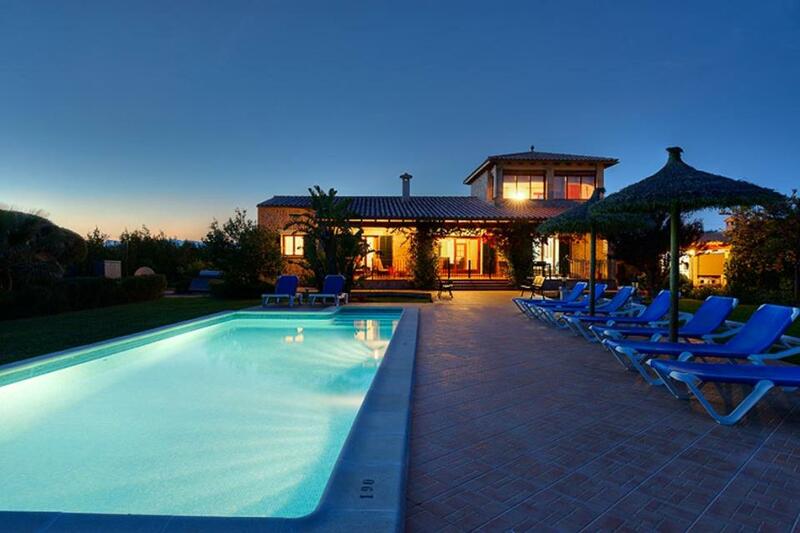 Can Torretes is a stunning, large villa ideal for a large group. The villa is well maintained and clean, and contains everything you could possibly need for a relaxing and enjoyable holiday. We would not hesitate to recommend this villa to others, and although the villa is only 2 minutes from the town of Alcudia a car is definitely a must. 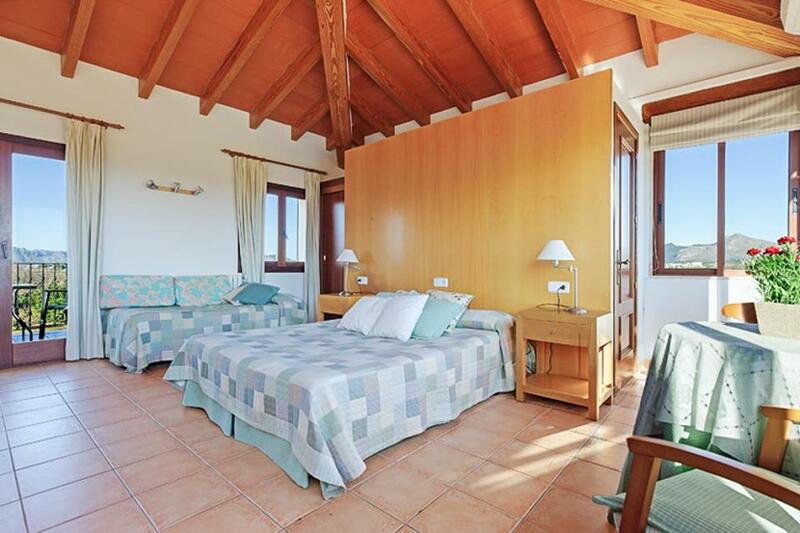 It is close to both Alcudia and Pollenca where there are great beaches and great restaurants. We would not hesitate to spend another holiday at Can Torretes, it really is a touch of luxury. Exhale and drink in the surrounding landscape at Can Baussana. The owners have placed this four-bedroom gem on such a large plot of land, surrounded by the Alcudian countryside, that you’ll feel peaceful from the moment you arrive. 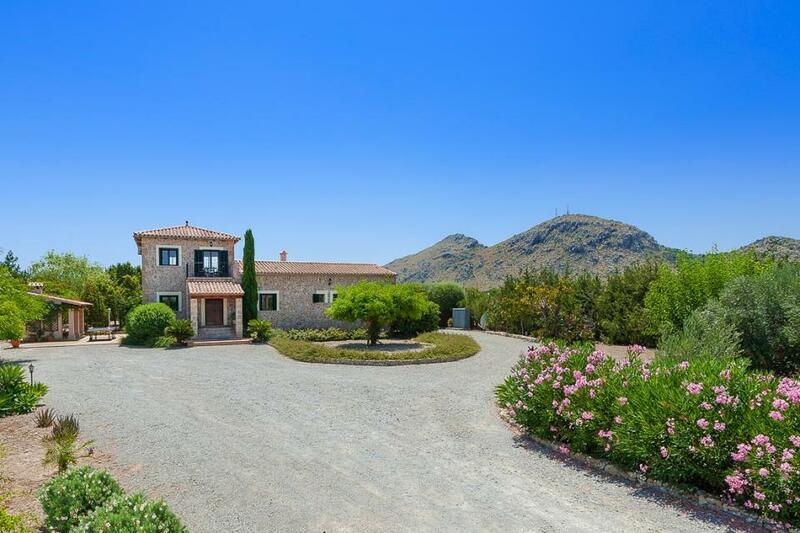 Built using local,..
Can Segue is an idyllic four-bedroom villa, nestled within the picturesque countryside of Son Fe in Alcudia on the North East coast of Mallorca. Reflecting traditional Spanish aesthetics, the villa has been built with rustic stone and a partially painted..